All winning political campaigns have three elements in common, I call them the 3 Important M’s: Message, Money, and Minutes. If you want to win your election, you must keep these three elements — the 3 Important M’s — in constant focus. Your winning message is absolutely the most important aspect of your campaign. Without a simple and clear message that connects with voters you’re probably going to lose. Too many candidates think that if they put up signs everywhere and get loads of endorsements from local leaders and mucky mucks that they will be a shoe in for office. Wrong. Those candidates lose far more often than they win. Why? Because they failed to connect with the voters. You connect with the voters of your district by having a clear and concise message. That message must resonate on an emotional level that motivates voters to cast their ballots for you. The message can’t be about you. That’s a mistake too many candidates make all the time. They make their message about their resume and accomplishments, not about what’s important to the voters. A winning message always keeps the voters front and center, focuses on the problems they want fixed, and provides a realistic plan for turning things around for the better. Before you do much else on your campaign, figure out what your winning message is going to be. Once you have your message, refine it and repeat it over and over and over again on the campaign trail. Yes, if you want to win your election you need to raise money. You need money to win. But how much? I can’t precisely say as I don’t know the specifics of your district. That’s a number you must figure out as you create your campaign budget and fundraising plan. In the simplest terms, you need to find out how much money it will take to effectively get your message out to the voters. Once you know that, go out and raise the money to meet your campaign’s budgetary needs. Most good candidates who get blown out in elections lose because they are afraid of raising money. They either can’t bring themselves to ask for a contribution or don’t don’t ask because they are afraid of being told “no” by a potential donor. The usual excuse I encounter is that the candidate feels sleazy soliciting funds. Don’t allow that excuse to hobble your chances of winning. Banish it from your mind right now and forever more. 1) the person raising the money is sleazy. 2) the tactics being used are sleazy. 3) the donors are being deceived about the purpose of what the money will be used for or where it is going. BTW, number three’s not merely sleazy, there’s a good chance it’s illegal. If you avoid those three sleaze factors, then you should be confident in the fundraising role for your campaign. It’s all in how you handle your fundraising. NPR, PBS, United Way, and the Red Cross raise money all the time and they haven’t been branded as sleaze bags. Why? Because they raise money for the greater good of the community. That’s essentially why you’re raising money as well. Remember your winning message? It’s about fixing the problems in the community. You can’t fix those problems if you’re not in office. And you won’t get elected to public office unless you raise enough money to communicate your winning message with the voters. Keep that in your mind when you’r asking for money and this essential task will become simpler. If football is a game of inches, political campaigning is a game of minutes. You’re always running out of them and therefore must use them wisely. Time is the most precious commodity of your political campaign. You’re always running out of time. Election Day never moves away from you, it’s always moving closer and closer and closer like Jason of Freddie in those 80’s slasher movies. At first Election Day is months away on calendar. Then suddenly it’s only weeks, then days, until you’re finally waiting for the polling places to close and wondering if you’ve done enough to win. As a candidate there will always be more demand on your time than there are hours in the day. Because of this it’s easy to focus your energy and attention on the wrong things. 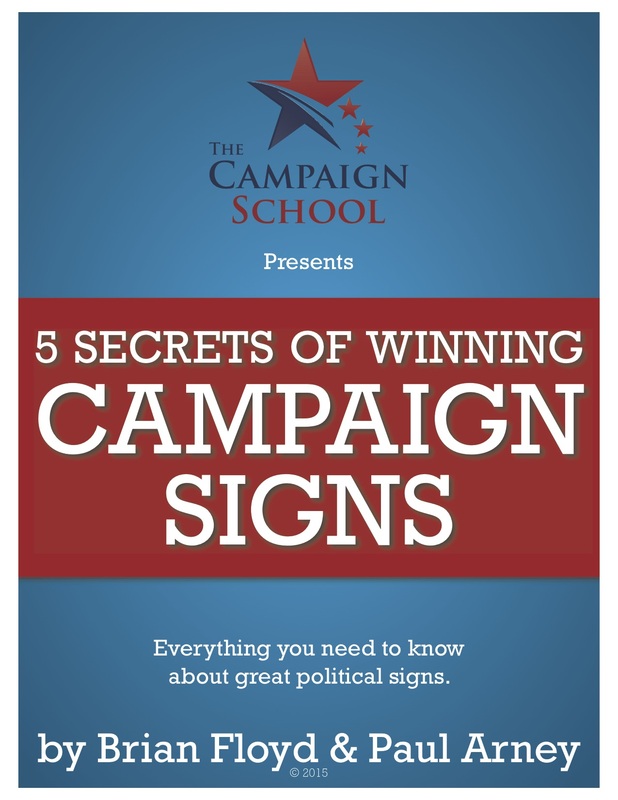 Before you know it you can fall behind on hitting your fundraising goals and getting your winning message out to the voters. That’s why you must be incredibly disciplined when it comes to scheduling your time. You will need to budget your time stringently, usually by the hour but sometimes down to the precise minute. The two most important things you must focus your time on if you’re serious about winning is the time you are communicating directly to the voters and the time you are asking for money. Those two activities should take up more than 50% of your time. Everything else goes into your remaining time or is eliminated. This includes things that seem important but really are not. How do you know what things can be left out of your schedule? Too many campaigns are lost because candidates say “Yes” to things that should be deemed a “Hell No” and avoided. There are many things that need to be done on a political campaign. The difference between a winning campaign and a losing one is that the winners focus on what is really important. In my experience these three important M’s are where a candidate should be focused from Day One until the close of polls on Election Day. Craft your winning message and take it out to the voters. Raise the money necessary to deliver that message through the proper mediums. Dedicate the right number of minutes of every day to doing those two tasks and you’ll go far as a candidate. Many of the things you, your supporters, and your volunteers think matter really are not that important. Just say no to them.